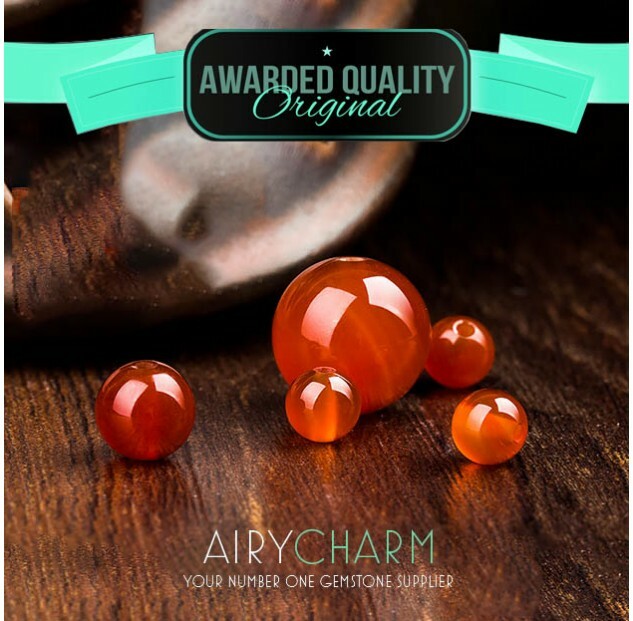 Agate is a name that is given to all kinds of different varieties that belong to the Quartz family. The earth produces them in all kinds of different colors, including a clear one. That is one of the reasons why agates are so loved and widespread. 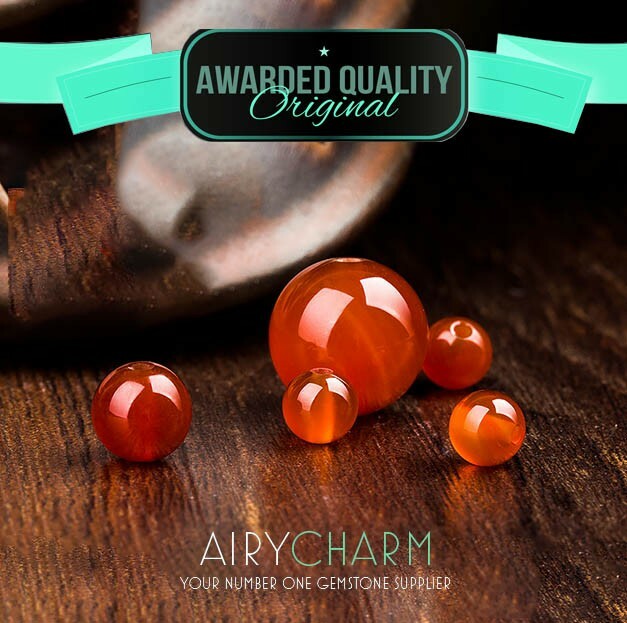 The history of the agate stone is very interesting and goes really far back. One of the earliest founding of agate dates as early as the Neolithic period where it was used for healing, as well as decorating. According to historical data, Babylonians were very fond of agate stones and believed them to be very powerful, as well as stunningly beautiful. The Greeks and the Egyptians also used is regularly and thought that it cured all kinds of different illnesses and ailments, from physical to mental issues. That tradition is still alive today and many people around the world are still using agate stones for healing and believe agates have very strong metaphysical properties, regardless of their color. 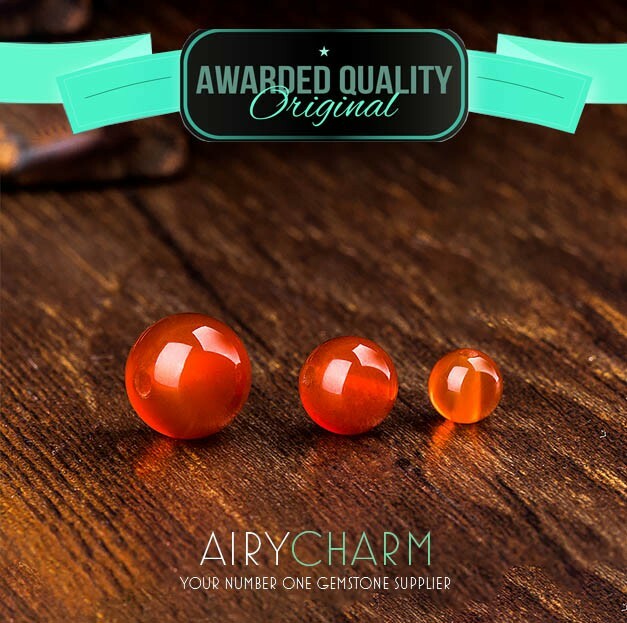 This orange agate resembles red and fire agate, but it’s physical and metaphysical properties are slightly different. Agates vibrate at a lower frequency which means they are usually great for grounding, regaining stability and strength. But because of its orange/red color, it releases a bit more energy than other agates. If one would touch an orange agate stone, energy levels would go up, rising like fire. But that energy should definitely be used and it means that action must be taken. This kind of agate generally calls for some kind of change, especially when we’re bored and unsatisfied with our ordinary lives. Whether it’s a job you’re not enjoying, a partner who doesn’t deserve you, or an environment that puts you down, agates help us make those drastic changes that are necessary but often so hard to make. The divine energy from the agate drives you and leads you towards a path that is more suitable for you and make you a happier person in the long run. 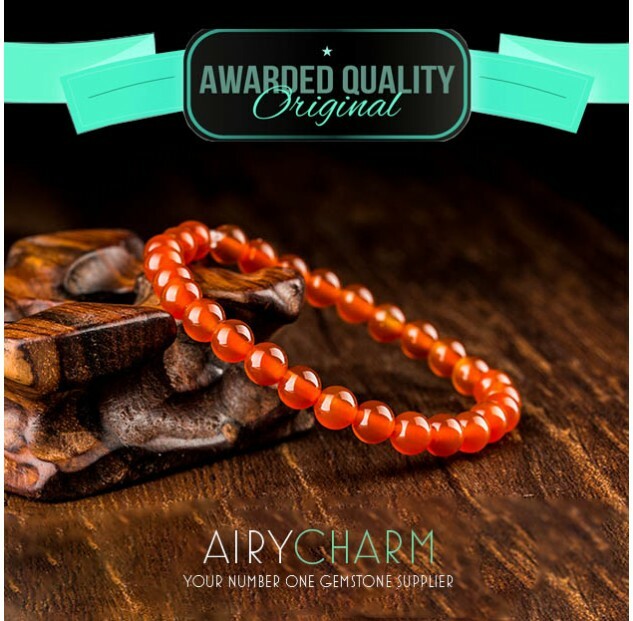 One characteristic this orange agate shares with a fire agate is the strong sexual and romantic energy. It is a great stone to wear and have around you when you want to attract your mate and begin a new relationship. 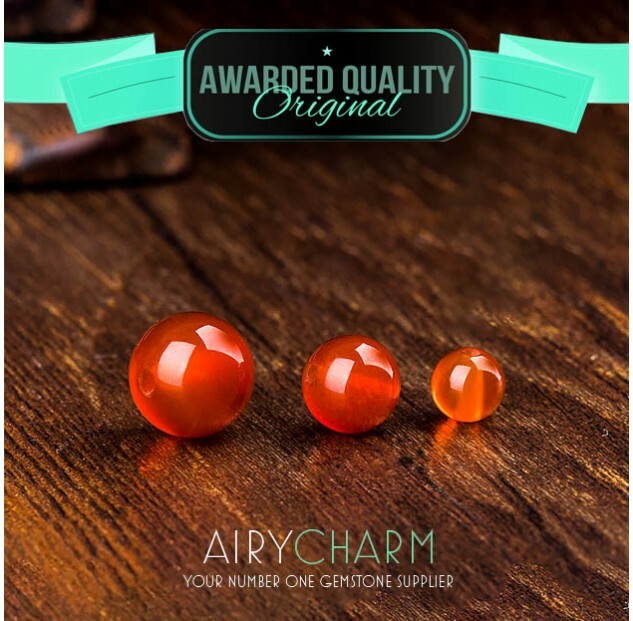 The energy of the orange agate is believed to make you more confident, attractive, and appealing which helps when you like someone new. Wearing an agate necklace or bracelet in the bedroom could also spice things up with your long term partner or husband. Over time, the passion kind of deflates a little bit and suddenly things are not as interesting as before. The strong, take charge energy of this agate could help bring back that lost passion and reunite you with your partner. 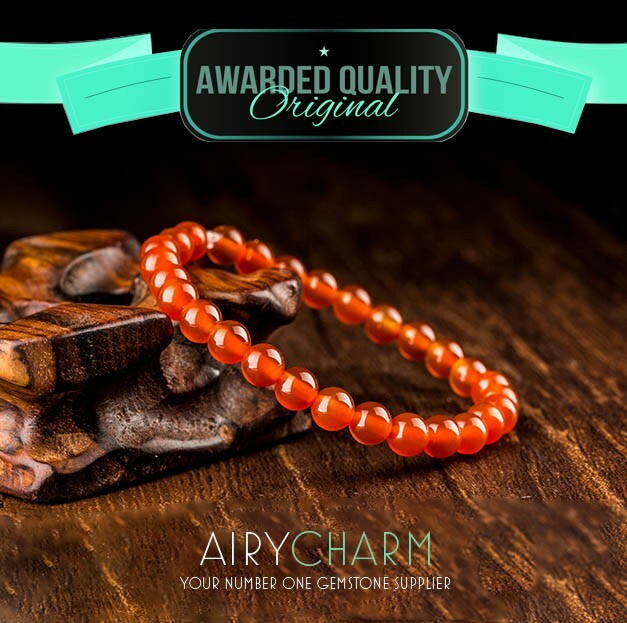 Overall, if you feel stuck and need something to lead you through important life changes, orange agate jewelry would be great to have around. Simply wearing the jewelry should have a great effect, but if you like, you can also meditate with your agates, concentrating on the changes you want to make in your life.